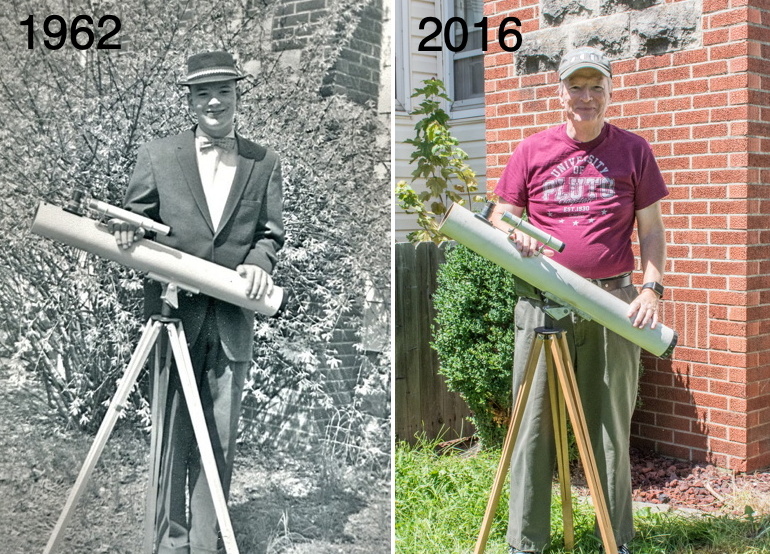 As a Christmas present in 1961 my mother gave me my first telescope. 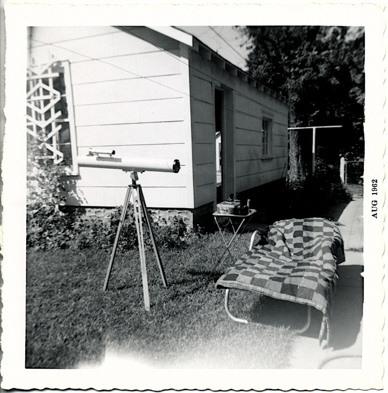 It was an Edmund Scientific 3" Newtonian Telescope (seen below in 1962 from my "observatory"). 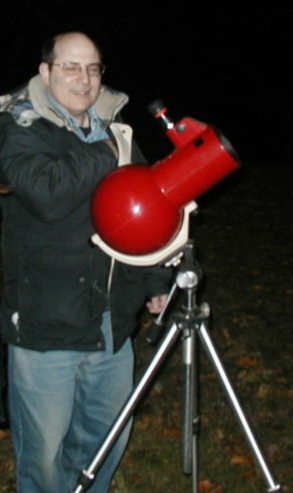 I still occasionally use the 3" telescope. As a teenager I was an active amateur astronomer. Click or tap on left photo to see a larger version. It was a lot of fun and brought back many memories. I frequently see people mentioning in letters to Sky & Telescope magazine and online that their first telescope was from Edmund Scientific and that many still use their Edmund telescope. Edmund Scientific stopped selling telescopes many years ago so I thought it would be great to create a web page to memorialize these popular telescopes of nights gone by. 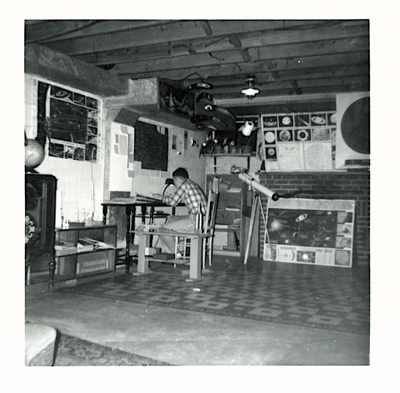 If your first telescope was from Edmund I hope you will email me at mweasner@me.com. Include then and now photographs if you have them. I will post submissions on this page. Thanks!